What both examples have in common is the fact that, while most of the steampunk community would identify as middle or upper class from highly industrialized nations, many people who actively incorporate those “steampunk values” — re-purposing junk or found items, the importance of tactile-based technology, ingenuity based on necessity, sustaining one’s lifestyle using older technological methods — are from places other than rich communities in highly industrialized societies. The technological nostalgia we feel lacking in our lives is the reality of many communities today. 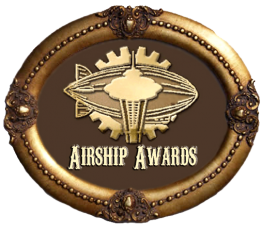 In the steampunk community, coupled with that sense of technological nostalgia is the cherished idea of innovation. Indeed, when people talk about technology, it’s usually in reference to when something was invented and by whom. Interestingly enough, the technological history of innovation and the history of use (who uses these innovations and where) are not usually associated with one another, but both are embraced in steampunk subculture. What is often taken for granted in discussions about the history of technology in steampunk, however, is the premise that old technologies are so interesting because they are not generally recognized by Western-European societies as something intrinsic to our way of life. On the other hand, however, as we have seen in the two examples above, older technologies are very much in use today in the non-West and in the developing world (for those are the places where they have having their own industrial revolutions). Moreover, the history of use becomes a key perspective that reevaluates the importance of older technologies: not just from a hobbyist’s perspective, but from a greater economic and social standpoint that concerns entire populations and countries around the world. David Edgerton, a UK historian, writes about the impact of the history of use in his book THE SHOCK OF THE OLD: Technology and Global History Since 1900. His argument de-centers the idea of the importance of the history of innovation when talking about technology’s impact on society. Instead, by focusing on the history of use, he argues that much of our current technology has much stronger roots in older technology than we realize, and how a lot of emphasis on research and development of new technologies haven’t impacted our current society as much as we believed they had. “In the innovation-centric account, most places have no history of technology. In use-centered accounts, nearly everywhere does. It gives us a history of technology engaged with all the world’s population, which is mostly poor, non-white and half-female. A use-perspective points to the significance of novel technological worlds which have emerged in the twentieth century and which have hitherto had no place in the histories of technology” (xiii-xiv). Edgerton’s book is written for the casual reader, which is great for those with a lay person’s understanding of technological history. He divides the book into eight topics in which he discusses the impact of the use-centered histories: Significance, Time, Production, Maintenance, Nations, War, Killing, and Invention. A lot of the observations he notes emphasizes that the past very much intersects with the present: the concepts he talks about really echoes conversations in the community about whether steampunk is “rebellion against the modern.” In fact, Edgerton notes that a lot of modern technology still has strong ties to the past. Among many other examples, he points how that steam technology rose in popularity and use in the 20th century and not the 19th, and that the horse contributed most to success of various countries during World War II than tanks, machine guns, and airplanes. One of the most engaging chapters in the book was his discussion of nationalism and technology. In most innovation-centric accounts, nations talk about the great importance of having something invented in their country or by their people. The role of research and development was heavily emphasized as a form of soft power, especially during the Cold War. Millions were spent developing weapons of mass destruction, and nations taught in schools the importance of that American (or Soviet or Chinese, etc) inventor in order to argue for the economic productivity of their society. Under the tenants of techno-nationalism, the lack of innovation or the reduction of research and development (R&D) meant the “descent to the level of the poorest countries.” (108) Edgerton points out that flaw in that logic, using examples like Japan’s economic troubles, despite spending the most in R&D worldwide. He also points out that the success of technology in one country did not equal its national superiority because of technological transference: when another country can take that same technology for its own use and possibly became more successful because of it. Still, the idea of techno-nationalism remains significant today, especially in the process of decolonization, where many countries with colonized histories use techno-nationalism in order to combat their pasts. Edgerton also addresses facets of history and technology from all sorts of perspectives that made it a joy to read: the role of domestic productivity and the importance of “female” work in the development of household technology such as appliances and even the Internet; how the most important inventions are not rooted in pure innovation, but are typically adaptations of previous versions; the role of racism and empire in how technology is viewed and distributed; how the most productive global areas (and upcoming economic powers) are those currently going through their own industrial revolutions, namely India, China, and southeast Asia. This book is probably one of the most indirectly “steampunk” books I have read in a long time, and would recommend it to those who are curious about the intersection of technology and culture.